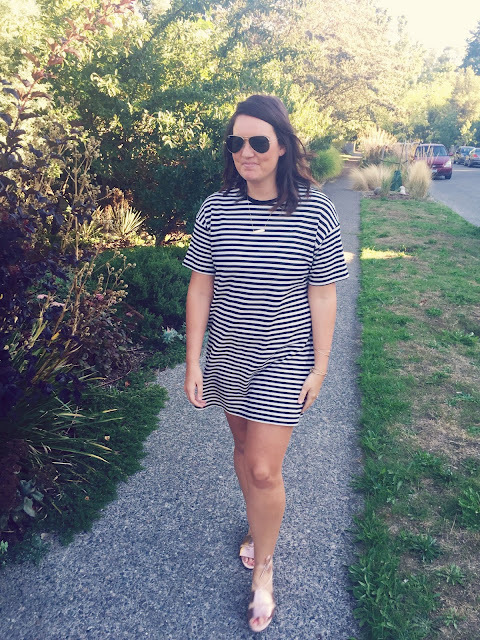 tater and tot: yet another tee shirt dress. 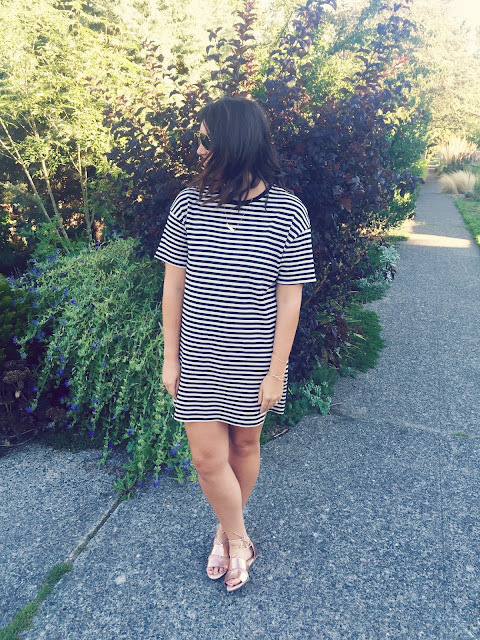 yet another tee shirt dress. 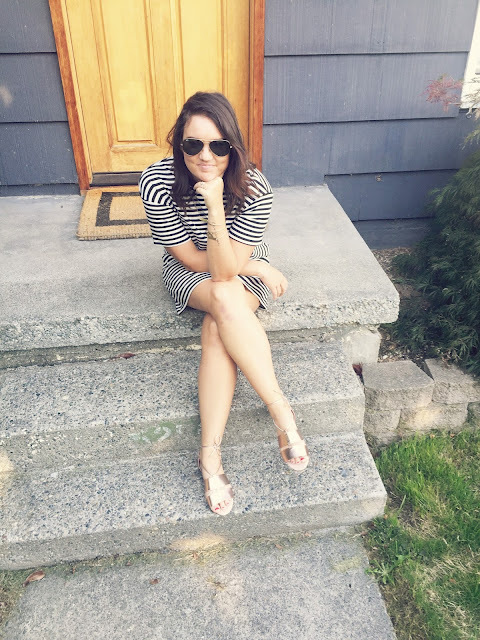 there are not many things better than a striped t-shirt except of course for a striped t-shirt DRESS. especially when it's under twenty bucks! 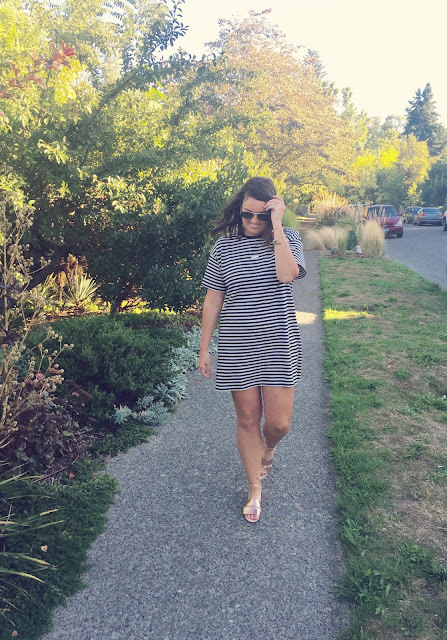 t-shirt dresses are really popular right now because they are super comfy, can be worn anytime, you can dress them up or down and did i mention super comfy?! do yourself a favor and go buy one like now. 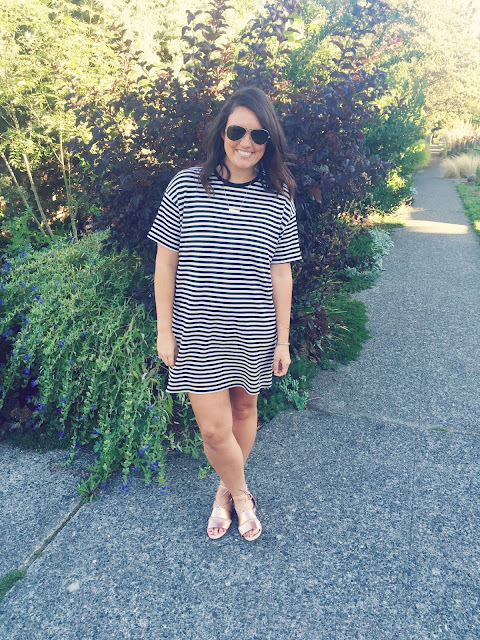 Never too many t-shirt dresses! I love this outfit!